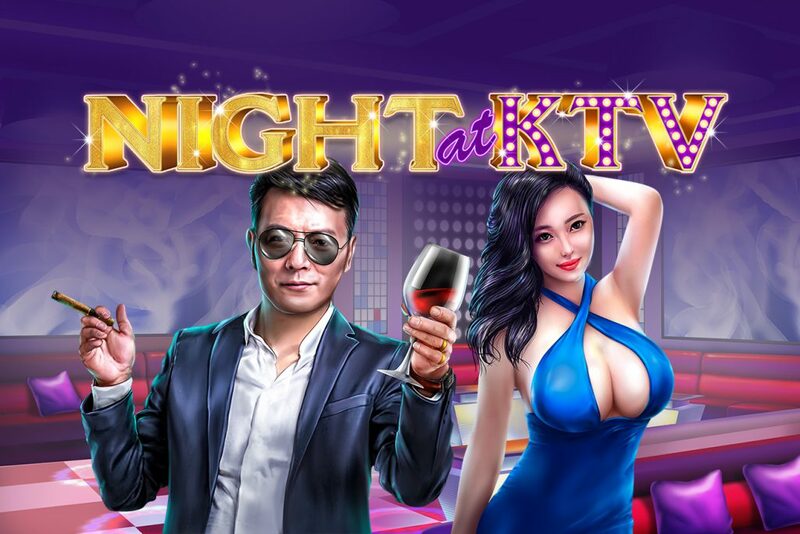 Welcome to Night at KTV, GameArt's newest slot which will amaze you with its vivid colours and breath-taking wins. 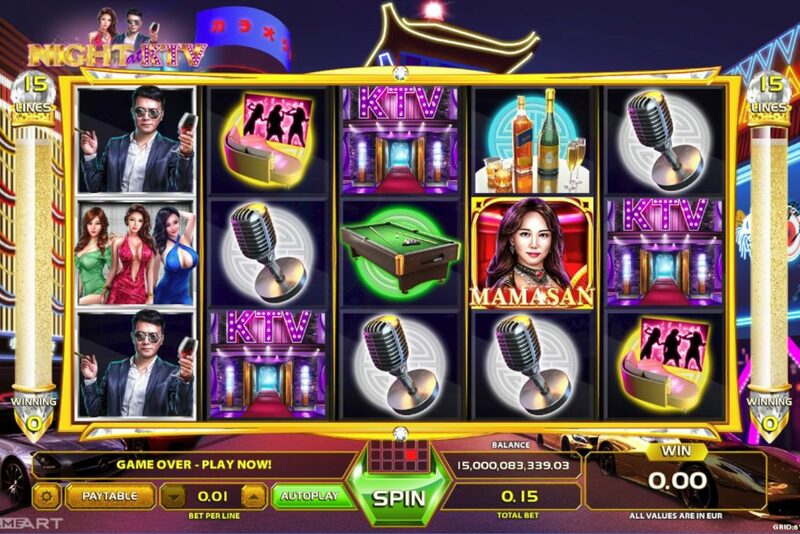 Sing to the melody of this 5-reel slot with 15 paylines. Don't let the exploding winning symbols and cascading combos carry you away! With every win, all winning symbols combine and explode. The newly cascading symbols give you another chance for a new combo. 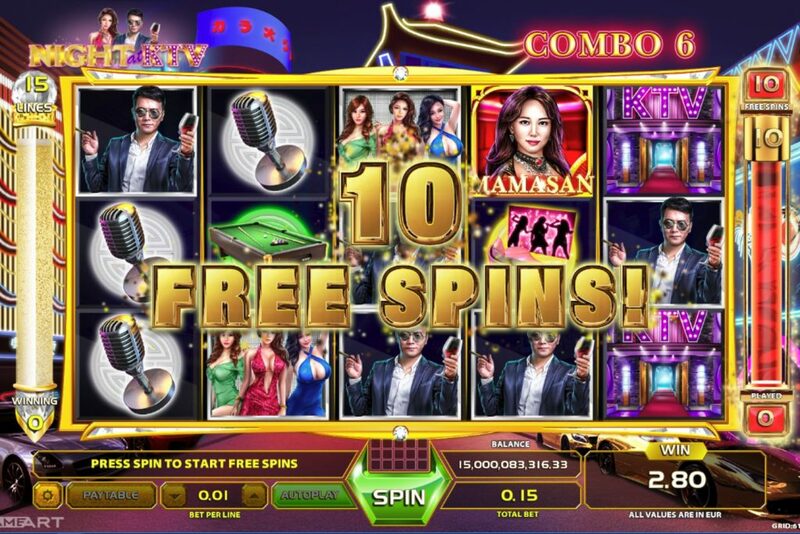 The more combos you collect in a single spin, the more free spins you get awarded. If your luck is in, you have the chance to retrigger the free spins the same way you got them. Sing your way to 3 Mamasan symbols and join the exclusive game “One & six dice game” with one of the hostesses. Follow the simple rule: Flip your cup with the dice and get it empty before the hostess does. Let number one on the dice make you insanely rich! Dance and sing your way to great fortunes! Let your fingers take you to this game and get amazed! Build up the courage and let your voice lead the way to fun, excitement and entertainment! Hit those high notes with GameArt’s hottest slot!